Home / Articles tagged with "athlete"
The former Chicago suburbanite’s decision may open your eyes to a common concern. An expert orthopedic surgeon provides tips on how to bounce back after working out and playing sports. Are shin splints cause for concern? Find out how to ease the pain and when to seek medical treatment for this common injury. Find out why athletes make mistakes during the important times in their careers. 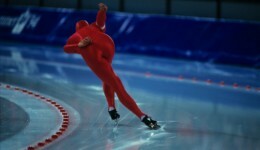 For Winter Olympians, physical and mental training go hand in hand.